Ok ladies don’t hate me for this one but do you know what’s in your dry shampoo? It’s actually alarming! One of the biggest toxic ingredients is “fragrance” which is full of synthetic chemicals! I get that dry shampoo is a staple in life just like coffee but there’s a less toxic route. Let’s break down a few common ingredients in most dry shampoos and I’ll share this easy DIY recipe so you can make your own non-toxic one!! Alcohol while it’s not “toxic” excessive use can cause damage to the scalp and is extremely drying. Methylpropional- which functions as a fragrance and masking ingredient, is connected with possible bioaccumulation, organ system toxicity, endocrine disruption and allergies, and contact dermatitis. Isobutane-Isobutane and Propane are compressed gases that are used as aerosol propellants.isobutane is a hydrocarbon gas; used as a propellant in aerosolized products. Can be toxic and an allergen. Excessive use of dry shampoos that contain alcohol can lead to long-term hair and scalp damage. Get a glass jar with a lid. Add all ingredients into jar and mix. Too apply get a loose powder brush and dip it in the powder, tap off excess powder into lid of jar. Apply directly to scalp along hairline. Brush out and style. If you have dark hair you can add a little cacao powder to darken the powder. Rosemary oil can counter hair loss by stimulating blood circulation in the scalp, which, in turn, promotes hair growth. Its high nutritional value and anti-inflammatory properties make it an excellent ingredient for nourishing the hair follicles and soothing the scalp. Lavender oil is calming and antimicrobial. I am SO excited about partnering up with Tiny Giants to bring you these two fun (healthy) and festive recipes. 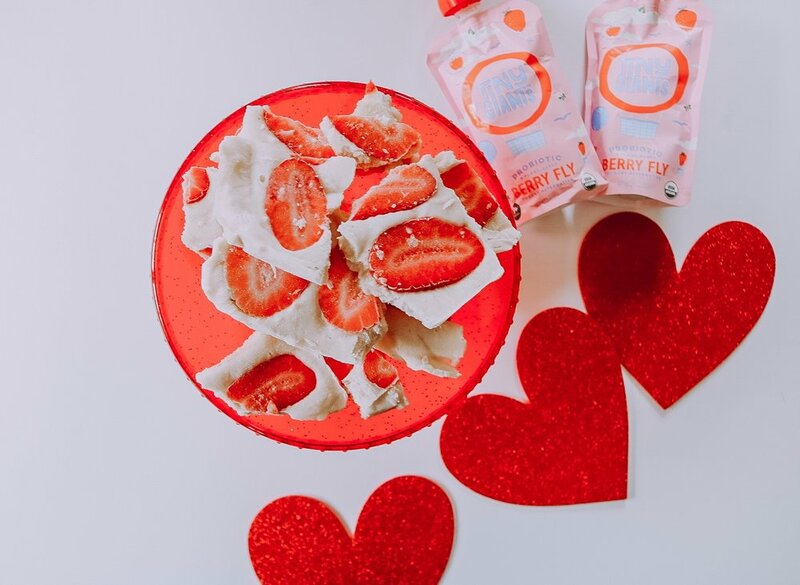 As we know Valentine’s Day is right around the corner, and with all the sugary treats out there these two recipes are something mama can feel good about. 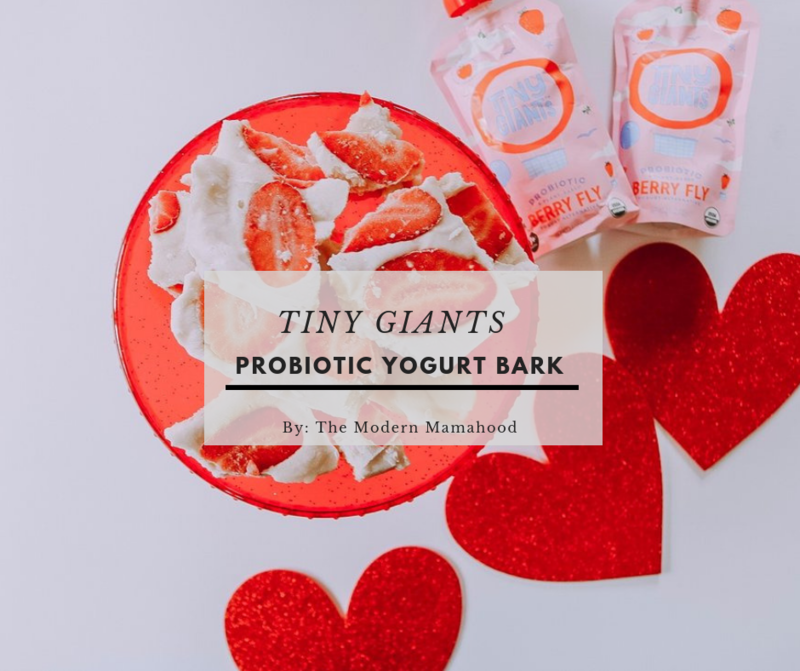 For those of you that are not familiar Tiny Giants is a probiotic enriched yogurt company for young children. They have pouches in a few different flavors that all contain vegan probiotics. As you all know we eat a vegan diet and so does Jack so I was absolutely over the moon when I found this company. Jack is obsessed with their yogurt and I feel so good knowing he’s replenishing the good bacteria in his gut, which will ultimately strengthen his digestive and immune system. BEST part?? This company is MOM run!! YES!!!! I love supporting a fellow mama. Now that you have a little more info let’s dive right into these two recipes. The yogurt bark can totally be jazzed up by adding mixed berries or granola, whatever you are into! It’s a fun snack especially in the coming Spring and Summer months, or for those teething babes. Directions: place a sheet of wax paper inside the glass pan, then squirt in your 4 pouches of Tiny Giants. Take a spoon and smooth everything out and then add your sliced strawberries on top. Place in freezer for 2 hours. Once the 2 hours have passed take the yogurt bark out and remove the wax paper and break into big pieces. Enjoy! Fill raspberries with Tiny Giants pouch by directly placing the spout of the pouch to the opening of the raspberry and squeezing out a small amount of yogurt into the raspberry. P.S. For my local mamas they carry Tiny Giants at Frazier Farms. Ok so yes 2019 is here and I have a resolution list a mile long! I know, it’s maybe cooler to not make one but I have a lot of goals this year for myself and for my business. The most important thing I am focused on this year is to up my health and wellness game. I decided that as busy as I am I need to invest in some quality supplements and start exploring some different types of exercise that excites me. I have posted a few of these on Instagram but I wanted to create a post that you could come back and reference and they’re all linked. First I want to start with the women’s multivitamin I am taking from a company called Ritual. Ritual has engineered the perfect women’s multivitamin by figuring out what our bodies need most and they go above and beyond and use vegan Omega 3 from algae, which saves lots of little fishy lives. The vitamin also tastes minty or like peppermint so there’s no gag reflex when swallowing it. And if I am being totally honest their packaging is super cool as well. -Clear the fog, supercharge your focus and mental capacity. -Shield you from disease and defend against illness. I have known about the amazing benefits of mushrooms for years, since I was in nutrition school. I can honestly say I feel way more energized when I take this powder. Let’s talk probiotic. I know just as well as you do that taking a probiotic daily is game changing, but I totally fell off the wagon with this one. I hate admitting that but I am human. Our gut is the essence of our being and we MUST take care of it and replenish the bacteria necessary for it to thrive. I decided after talking with my girlfriend Marah of @naturallymindedmarah to give the doTerra PB Assist probiotic a try. She swears by it, so far so good. Next up is the Biosil (vegan) collagen supplement. First off Christie Brinkley takes this supplement and swears by it so If I can look like her as I age sign me up. Headspace is a meditation app that you may or may not be familiar with but it is super helpful no matter what stage you are at in your meditation practice. I really love it because it’s guided and it gently reminds you when your mind can begin to wander to come back, and for me I totally need that. You can adjust your time so if you only have 3 minutes or if you have 10 you can get something out of it. Lagree Fit is a pilates inspired workout using the reformer machine and holy moly it’s an incredible full body workout. Best part? It’s only 40 minutes!! I made a commitment to myself to try new types of exercise this year, I’ve been doing HIIT for 2 years and running here and there, but this is a game changer. Reading: I am going to commit to reading 1 book a month this year. For me this is a hard one. I have a million things going on and when Jack is finally asleep the last thing I feel like doing is reading. Essential Oils: I use oils daily and my diffusers are usually going in every room, but this year I want to really really use them. Like I want to try to use them for all that they can be used for whether that is medicinal or emotional. Stay tuned on this… I’ve got some fun EO ideas for this year!! And last but not least I really want to be more present with my family this year. I want to put my phone down or away and connect with them. I don’t want Jack growing up always seeing his mom on her phone, because nothing is more important than my time with Jack (and Stefan LOL). 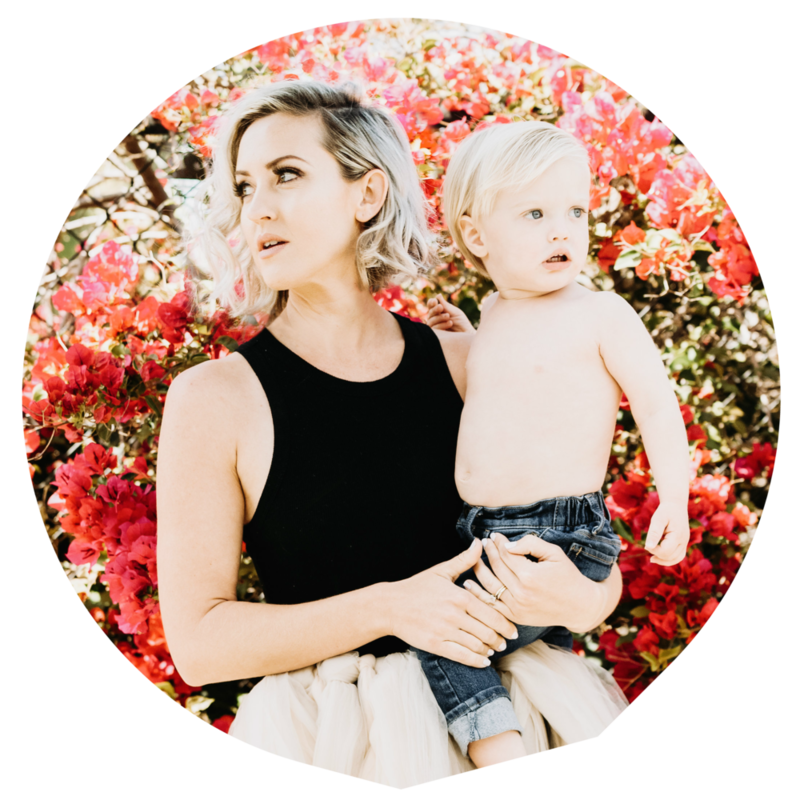 I hope this list inspires you to get out there and get your health and wellness goals met… or started!! The weather has cooled down here in San Diego and it’s time for chili. 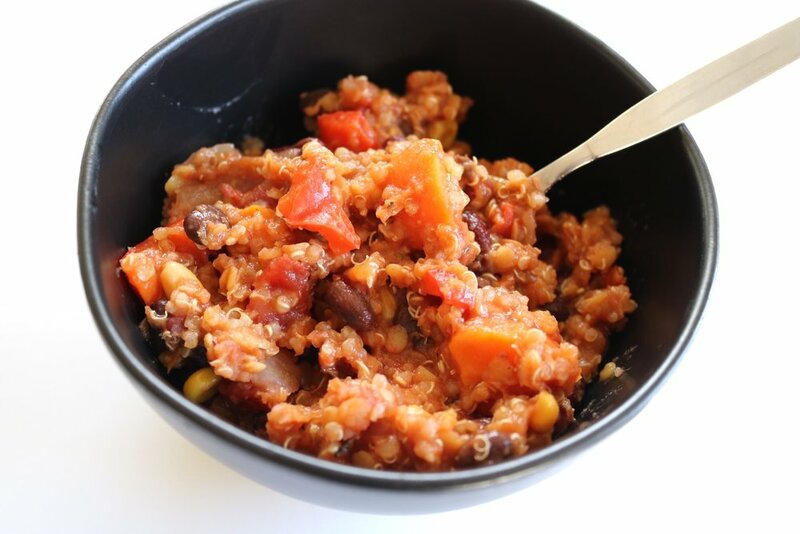 VEGAN CHILI and it’s so good!!! I have been making the recipe for a few years now and I love it so I am so happy to share it with you! Put all ingredients into a large pot on the stove, bring to a boil then cover and simmer for 20-25 minutes. Remove lid and stir chili. Leave lid off and simmer for another 10 minutes or so until the chili thickens.